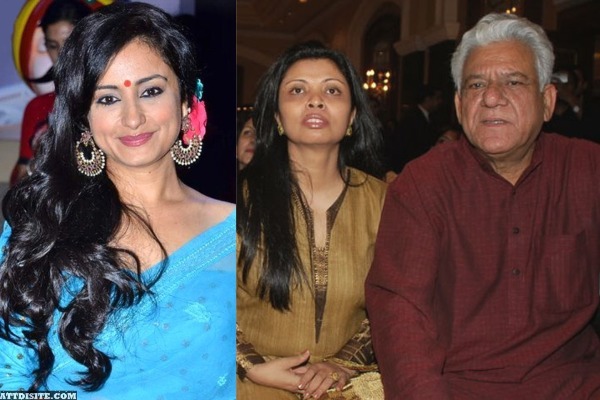 In the quest of reviving Om Puri’s Hindi play ‘Teri Amrita’ in Punjabi, actress Divya Dutta has been slapped with a legal notice by the late actor’s wife Nandita Puri. Nandita Puri has filed a complaint against Divya Dutta for reviving the play under Divya’s banner— Nalini Dutta Productions against her consent. Previously the play and its copyrights were under Om Puri’s company Majma Arts. As per reports, after actor Om Puri’s sudden demise the play suffered a major blow. It was during this time that Divya Dutta roped in Gurdas Maan for the Punjabi version of the play and approached Nandita Puri with regards to buy Teri Amrita’s copyrights. Reportedly, Divya Dutta presented Nandita Puri with a detailed document about the ‘terms and conditions’ to buy the play and its copyrights under her banner Nalini Dutta Productions. However, after much deliberation it became crystal clear that Nandita was not keen on parting away with Om Puri’s play Teri Amrita’s copyrights. Still, going against the late actor’s wife’s wishes—Divya Dutta is all set to go ahead with the play. Looking at the blatant disrespect of her wishes—Nandita Puri has filed a complaint against writer Javed Siddiqui, actress Divya Dutta and Amrik Gill. ‘Teri Amrita’ is supposed to have its first performance on September 9th, 2018 in Mumbai. However, given the complaint against the key members of the play it is unclear if the play will still have its run or not. ‘Om Puri’s ‘Teri Amrita’ is an adaptation of 1992’s play ‘Tumhari Amrita’ directed by Feroz Abbas Khan starring Shabana Azmi and Farooq Sheikh. The original Hindi/Urdu play written by playwright Javed Siddiqui is a story of unrequited love between Amrita Nigam and Zulfikar Haider told to us via a series of letters exchanged over the period of 35 years. The couple started exchanging letter when an eight- year-old Amrita wrote her first letter to a 10-year-old Zulfikar. ‘Tumhari Amrita’ or ‘Teri Amrita’ has gained a cult favourite status given its experimental narrative and also due to the fact that it is the longest running modern play in Hindi.